The instructional courses and programs are designed to meet the needs of individuals or groups that will need certification or training in emergency response, leisure activities, professional development or simply enjoy learning in a safe, inviting and relaxed environment. Classes that are offered focus primarily on American Red Cross Training Programs and will follow ARC standards with other programs following similar guidelines. Participants under the age of 18 must register in person with a parent or guardian at the University Recreation Information Center. Participants 18 years of age and older may register in person or online. Online registration can be found at our web portal here and direct links are included in each course description below. Contact us at u-rec@uwm.edu with any questions. Any CPR, First Aid, or Lifeguard Training courses that do not have adequate enrollment may be cancelled up to 2 days before the course. Registrants will be contacted if a course is cancelled. Private courses may be arranged, please see the specific course for information. CPR/AED and First Aid certifications are valid for two years. The scheduled courses are for adult certification only. We may schedule courses for child or infant certification based on availability and interest. Online registration for Adult CPR/AED can be found here. Online registration for First Aid can be found here. Courses will be held as scheduled below. Courses will be completed utilizing the Red Cross Blended learning model. There is pre-course work that must be completed prior to attendance of the in-person offering listed below. Participants must complete all pre-course work prior to the course. Students who do not complete pre-course work will be asked to leave, and no refund will be provided. Attempts will be made to transition participants to a future course, however no guarantees will be made to place students. Students should complete the pre-course work located here: http://redcrosslearning.com/course/d1c18020-c610-11e6-97ba-adc268562c07 if they are only taking CPR/AED. Students only taking First Aid should complete the pre-course work located here: http://redcrosslearning.com/course/b4411ec0-c610-11e6-babf-4fecf6ce231c. Students taking both CPR/AED and First Aid should complete this pre-course work instead: http://redcrosslearning.com/course/02b6b8e0-c611-11e6-81f6-a5a76b229f34. Course registration will close 2 days prior to start of course. *Prerequisite: American Red Cross CPR/AED Course. It is strongly recommended that First Aid participants take the CPR/AED course concurrently. The First Aid course will begin shortly after the CPR/AED course. The CPR/AED course costs $55 for UWM students and University Recreation members or $65 for non-students/members. The First Aid course costs $30 for UWM Students and University Recreation members or $40 for non-students/members. Participants MUST register at least 2 days prior to course. Any course without sufficient registration may be cancelled up to 48 hours before the first meeting. Private courses can be scheduled if you have 3 or more individuals. Please contact u-rec@uwm.edu with questions about private courses. We are currently not offering stand-alone CPR recertification courses. You may contact us to schedule a private course, however in many cases you will be directed a full CPR course for recertifcation. Any course without sufficient registration may be cancelled up to 48 hours before the first meeting. Private courses can be scheduled if you have 3 or more individuals. Please contact u-rec@uwm.edu with questions about private courses. Students who finish the Waterfront lifeguarding course successfully will receive 2 year certifications in: Waterfront Lifeguarding/First Aid, CPR for the Professional Rescuer, and AED. All class sessions are mandatory. Students must be 15 years old, be able to swim 550 yards without stopping, retrieve a brick from a depth of 14 feet, and tread water using only their legs for 2 minutes. These skills will be checked on the first day of class. Attendance at all sessions is mandatory. This is a blended learning course. There will be work required to be completed prior to the first day of class. A link to that coursework will be on their registration receipt or can be accessed here: http://redcrosslearning.com/course/73031950-15c1-11e7-b4e0-51657ecd06af Students who do not complete pre-course work will be asked to leave and no refund will be provided. Online registration can be found here. Students under 18 years of age must register in person at the University Recreation Information Center with their parent/guardian. The life guarding course costs $200 for UWM students and University Recreation members or $225 for non-students/members. Participants MUST register at least 7 days prior to course. Any course without sufficient registration may be cancelled up to 48 hours before the first meeting. Private courses can be scheduled if you have 6 or more individuals . Please contact u-rec@uwm.edu with questions about private courses. 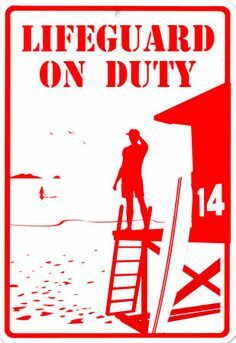 Any currently certified Red Cross lifeguard may sign up for a review. Please indicate if you need waterfront, water-park, or the standard certification at the time of registration. Your CPR/AED and First Aid certifications will also be renewed. Online registration can be found here. The review costs $75 for UWM students and University Recreation members or $85 for non-students/members. Any course without sufficient registration may be cancelled up to 48 hours before the first meeting. Private courses can be scheduled if you have 4 or more individuals. Please contact u-rec@uwm.edu with questions about private courses. The American Red Cross Basic Life Support for Healthcare Providers (BLS) course is designed to train healthcare professionals, public safety personnel and other professional-level rescuers to respond to breathing and cardiac emergencies in adults, children and infants. Online registration can be found here. This is a blended course and there is mandatory online pre-course work. There will be a link to this on your receipt, or you can access the course here: http://redcrosslearning.com/course/d4639880-d01b-11e5-a5e8-d572c14d508a .Students who do not complete pre-course work will be asked to leave and no refund will be provided. The BLS course costs $80 for UWM students and University Recreation members or $90 for non-students/members. Participants MUST register at least 2 days prior to course. Any course without sufficient registration may be cancelled up to 48 hours before the first meeting. Private courses can be scheduled if you have 2 or more individuals. Please contact u-rec@uwm.edu with questions about private courses. These courses are taught through Aquatic Adventures Inc. There are many PADI courses available; some of the course work will be taught at the Brookfield store, however in-water sessions will be held at UWM Pool. 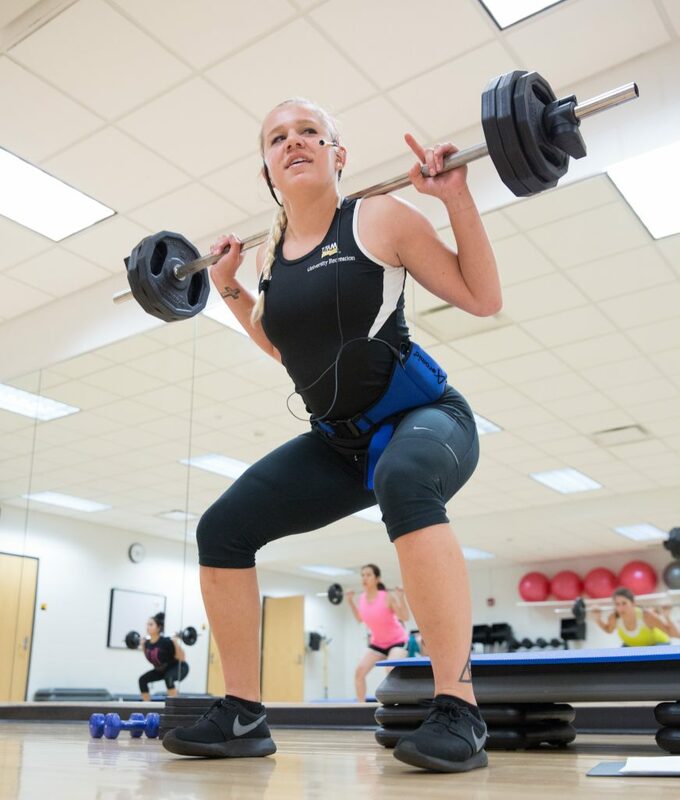 This is a semester long program that provides UWM Students the opportunity to gain knowledge and practical experience in teaching the basic components of a group exercise class. This experience is designed to allow students to learn from and be mentored by current instructors, program assistants and the Program Director. Click here for more info, or email Sara at sj@uwm.edu. All of our energetic staff are certified American Red Cross and PADI Instructors. The majority of our instructors have years of experience teaching CPR, lifeguard classes, swim lessons and working with children and people of all ages. With the exception of our Administrative Staff, all of our instructors are UWM students. Every instructor puts student learning first and will be involved with education as a lifelong profession. For additional information, please contact or stop by the University Recreation Information Center in the Klotsche Center and Pavilion for current fee schedules and availability of classes. Registration for all courses can be completed at the University Recreation Information Center in the Klotsche Center and Pavilion. Most courses also have online registration through our portal.